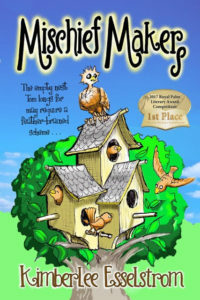 I’m not a fan of conventional breakfast foods—bacon and eggs, granola and yogurt, doughy stacks of pancakes. Cold pizza and fried chicken are more my style. 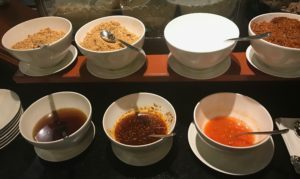 In Asia, soup for breakfast is the norm. This morning in Thailand, I ordered the popular and traditional Thai boat noodle soup. Bangkok was once considered the Venice of the East because of its expansive canals. Vendors on boats sold small bowls of this delicious soup. 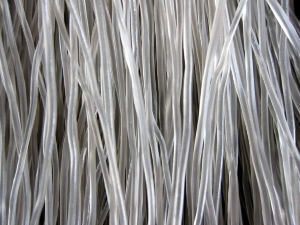 Also called cellophane or glass noodles. 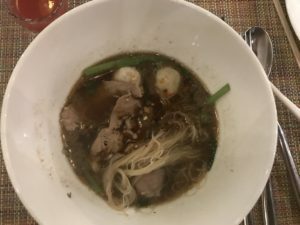 At the counter, I chose my rice noodles—flat, spaghetti-shaped, or square—I waited as the cook tossed raw beef and a handful of greens into a bubbling broth of garlic, herbs, and Chinese spices. I didn’t ask if he topped it off with the usual splash of beef blood. A spicy kick-start to the day! The steaming bowl now required my personal touch. I added heat—a sprinkle of dried pepper flakes and a small teaspoon of chili paste. I avoided the freshly sliced incendiary red peppers swimming in oil. For noodle soup in China, the chef would drop a basket of vegetables—chopped bok choy, green onions, and golden needle mushrooms—into a pot of simmering chicken broth seasoned with Chinese cooking wine, soy sauce, and ginger. 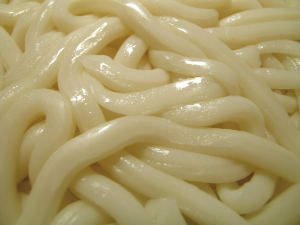 He’d ask, “Chicken or pork?” Then a handful of thick and slippery egg noodles slid into the mix. Soup is for breakfast, lunch, and dinner. All year round. The first time I tasted Chinese hot and sour soup was on a sultry day in Los Angeles. Hot soup in the summer? Yes, please. After experimenting with several recipes, I perfected the balance of spice and tang. Toasted sesame oil was the key. 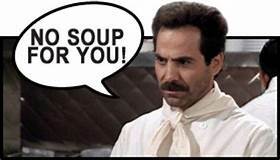 When I serve soup for dinner, my husband asks, “Where’s the rest of the meal? My daughters make excellent soup. Thanksgiving turkey carcasses boil with celery, carrots and onions. The Easter ham bone and split peas become a hearty soup, thick enough to be labeled a stew. 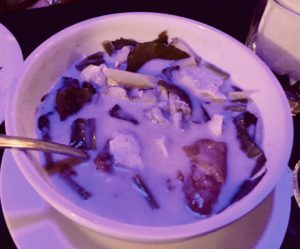 Now back in Thailand, I enjoy my all time favorite Tom Kha Gai–coconut chicken soup. The lime juice, coconut milk, oyster mushrooms, fish sauce, lemongrass, and red peppers create a fiery yet fresh flavor. 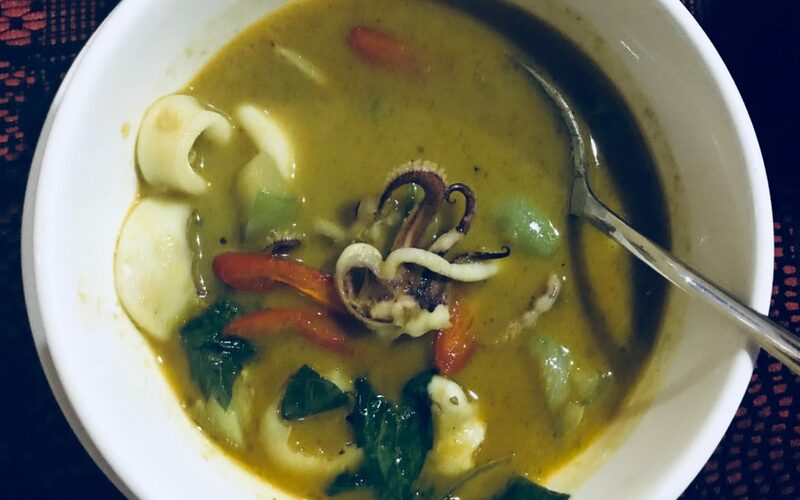 Green curry soup with squid is a close second. 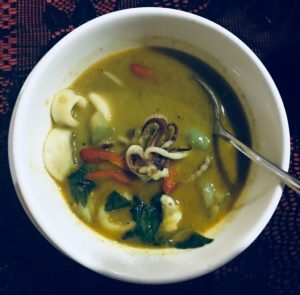 As I slurp, I discard hard disks of galangal (like ginger root but not…), spikey pieces of lemongrass, feisty whole red peppers, and waxy kaffir lime leaves—integral ingredients (but mostly inedible on their own) for Asian cuisine. When I’m finished, my lips are numb. My nasal passages are cleared. Soup can be medicinal and a soothing comfort food. 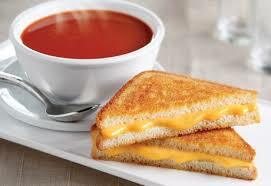 And who doesn’t feel content while eating Campbell’s tomato soup and a grilled cheese sandwich? Whatever vegetables and meat (or not) are available in the fridge or freezer at the moment. So I would say that “eclectic” soup is my favorite. And for it to be my husband’s favorite it has to include 1 can of condensed tomato soup. Eclectic soup. Clean the refrigerator and make dinner at the same time! Now that’s yummy multitasking.